$6.1 million opening weekend on 1,059 screens. A+ Cinema Score. 93% Rotten Tomatoes Audience Score. Still holding 4th place in the Box Office. For a Christian film that was looking at a projection of $2-3 million opening weekend, R-rated by the MPAA, marginalized by Hollywood, and given little to no ad coverage, Unplanned has been quite the opening week surprise. 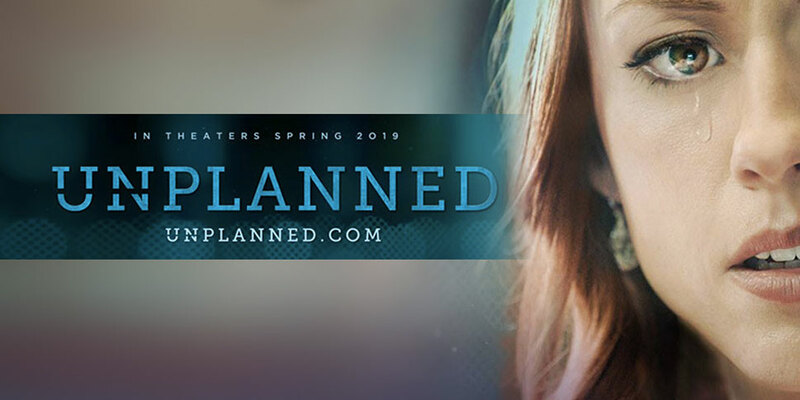 Directed by Chuck Konzelman and Cary Solomon and distributed by Pure Flix, Unplanned shares the true story of former Planned Parenthood clinic director Abby Johnson from the beginning of her Planned Parenthood tenure as a college junior to the day she is called to assist in an ultrasound-guided abortion at thirteen weeks gestation. While many were upset, the filmmakers immediately used it to their favor in pointing out that it merely reinforced the point that abortion is violent. The marketing team went ahead with highlighting the discrepancy between a 16-year-old being allowed to have an abortion without parental permission but not being able to see an R-rated film that portrayed abortion without parental accompaniment. 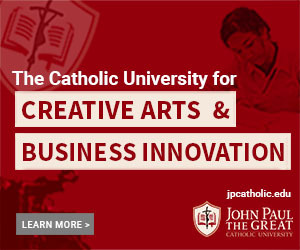 The rating put the film into the same category as The Passion of the Christ, an R-rated Christian film, and further inspired conservative audiences to see it. As if all that wasn’t galvanizing enough for the abortion “opposition”, the fact that mainstream TV stations (except Fox News) refused ad spots to the film created a lot of buzz on social media. Then Twitter suspended the movie’s account for a few hours on Saturday of opening weekend, causing an outcry among supporters. The “damage” was already done though: as of this week the Unplanned Twitter page has climbed to upwards of 340K while Planned Parenthood slowly reached 260K in response. Unplanned earned a coveted A+ Cinema Score, the 82nd film to receive something that even Captain Marvel couldn’t quite come away with. Right away this was indication that the film was not the typical, cheesy Christian meander through a preachy, unriveting story. Ashley Bratcher’s portrayal of Abby Johnson is captivating. Drew Maw’s cinematography is beautiful, and the fast-paced editing enhances it’s flow. The color palette pleases the eye but also effects a symbiosis between the various emotions of the scenes. The music choices are excellent as well; there was only one instance where I felt the soundtrack choice was over the top. The denouement seemed slightly fast after the powerful punches delivered by the main portion of the film, but it could have been precisely because the story was riveting enough to wish for more. Unplanned is delighting audiences as a completely watchable film, one to invite critics to because it looks the part as well as containing a startling theme. As far as portrayal, Rotten Tomatoes Critics gave the film a 50% rotten score with the tagline “A dramatic approach to a hot-button topic whose agenda is immediately clear, Unplanned will only reinforce the feelings of viewers on either side of the issue.” Audience response would seem to differ though as ATTWN Ministries posted in their Instagram stories this week that according to one study of 800 Pro-Choice college students who saw the film last weekend, 44% said they had changed their minds and wanted in on the Pro-Life movement. This drama (unlike the darker Gosnell docu-drama earlier this year) is a good watch for anyone who wants a better and fair exposition of the in-the-field dynamic and rhetoric of both pro-choice and pro-life. It shows both goods and pitfalls of the pro-life movement – such as the ineffectiveness of terror tactics versus the response to a caring network. It shows the genuinely human community of women working at Planned Parenthood and their thought process, as well as the disturbing actuality of what Planned Parenthood does – effectively exposing the sin without demonizing the culprits. This is something new in the history of films on abortion, and it deserves attention. It is also the reason why this film is an excellent outreach to the pro-choice community and an easy invitation (except for the media protestation of it) to open dialogue. It tells a story, plain and simple, with all the facts that played into the journey of Abby Johnson. Unplanned opens in 600 more theaters this weekend. Whether you are pro-life, pro-choice, film maker, or drama enthusiast, bring a friend and catch this surprising winner while you can. For showtimes and locations near you, check out Unplanned Tickets. Thank you for who you are and how you express your own belief. May God continue to guide you in sharing the truth.